Tuesday, August 21, 2018 - This photo is going viral on social media for all the wrong reasons. The randy guy took the selfie after having a good time with two ladies to make single guys feel bad. However, most people feel it’s better to be single than to be in his position. 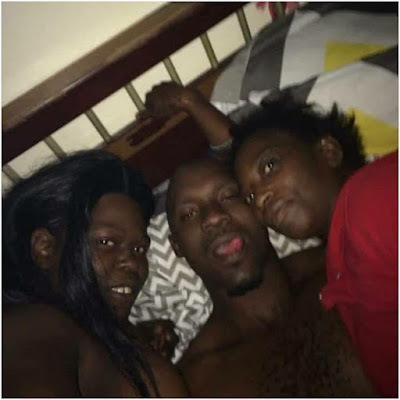 To begin with, it looks like he picked the ladies from a club while drunk because a sober, self-respecting guy cannot sleep with such scary looking ladies.